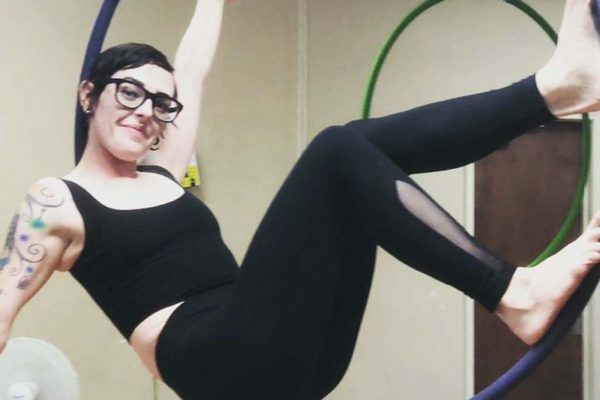 Lyra or Aerial hoop is quickly emerging as an aerial Instagram star due to its beautiful shapes and athletic movements. 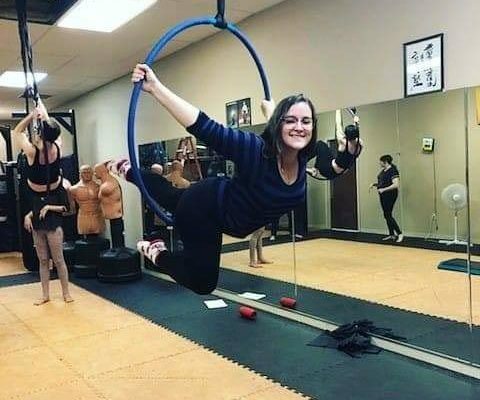 Lyra or Aerial hoop is quickly emerging as an aerial Instagram star due to its beautiful shapes and athletic movements. It has become one of the three most popular aerial arts along with aerial silks and modern pole dance. It incorporates graceful poses and combinations along with rotations around the hoop and dynamic movements. Don’t let this lovely apparatus fool you because it also builds strength, endurance, and flexibility. Don’t worry. You don’t have to be an acrobat to get started. Our beginner classes start by building strength, flexibility, and foundational skills. Each class begins with a proper warm up that includes stretching to prevent injury. Conditioning is the base that makes all moves possible in aerial so every class contains a conditioning session that is formulated to strengthen you for the moves you are working towards. Then, the real fun begins! You will learn moves and combinations at the appropriate level for your strength and skill set with variations based on your personal strengths. Each class ends with a session of focused stretching designed to increase the flexibility and range of motion sought after to improve the lyra experience. This class is a comprehensive workout that builds strength through movement and body weight, endurance through fluid combinations, and flexibility through focused practice. Don’t be an arm chair aerialist and watch from your phone. Take the plunge and try it yourself. You will never know what you can accomplish until you try!